We want to support you to avoid ill health and are going to be raising awareness of how ‘self-care’ can improve your health and wellbeing. ‘Self-care’ is about the every day things we can do to improve our health and look after ourselves. We will be starting with a focus on eating healthily, increasing activity levels and reducing or preventing the risk of diabetes. If you’re convinced that diabetes is something that can’t affect you, then it might be time to think again! 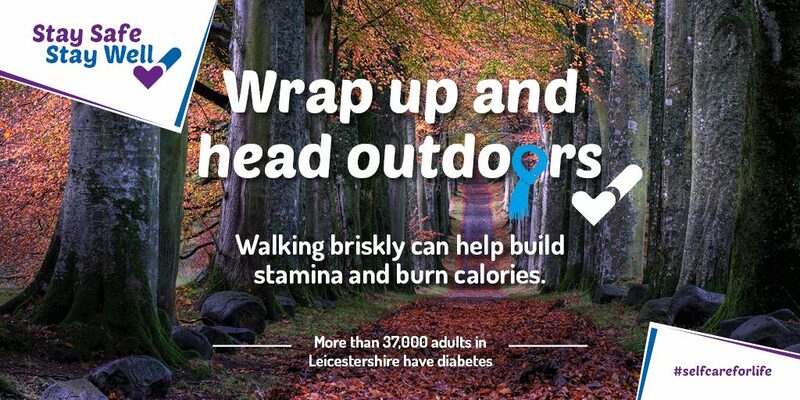 In Leicestershire more than 37,000 adults, that’s 6.7% of the total population, are living with diabetes.